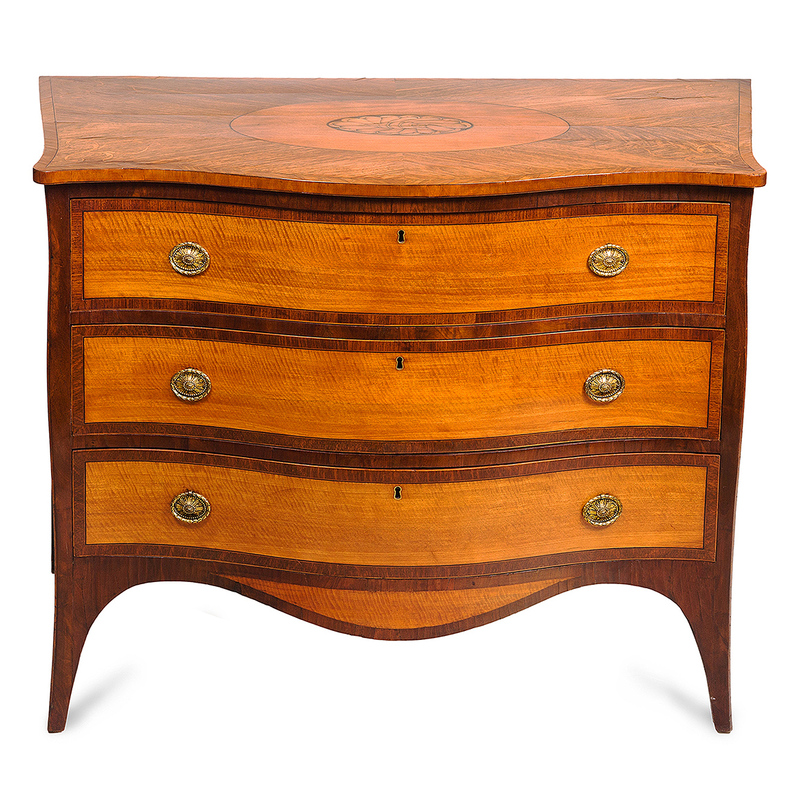 This finely constructed period Hepplewhite chest of drawers features graceful lines that give it a lightweight feel, and the top is beautifully inlaid, including a lovely sand-shaded patera. 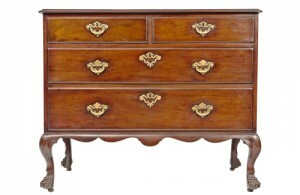 With original brass hardware. 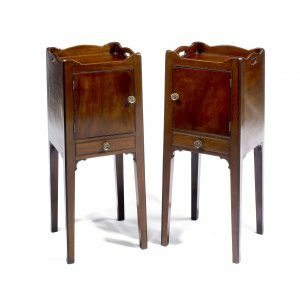 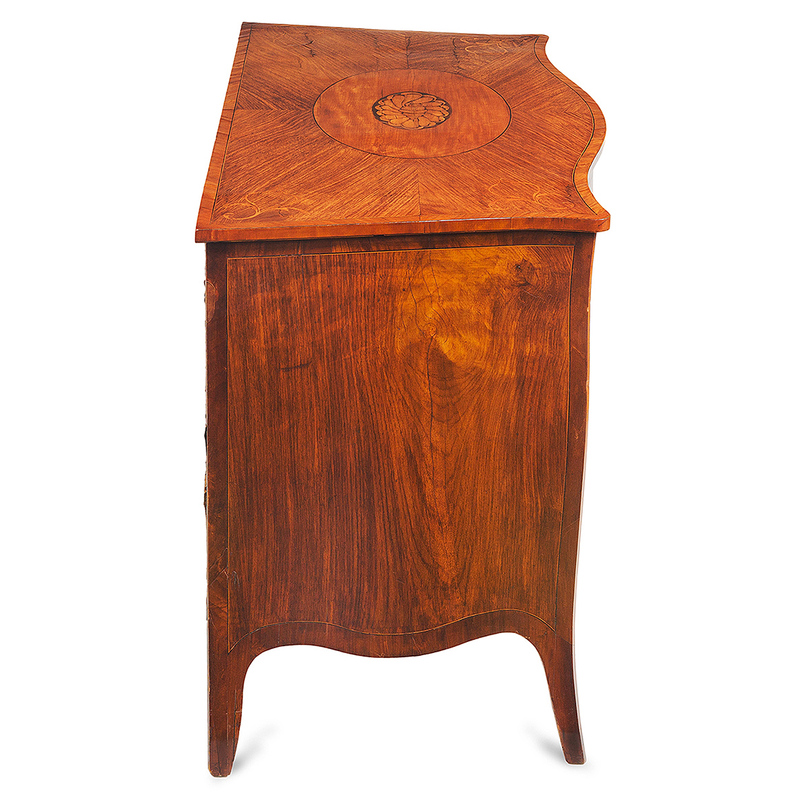 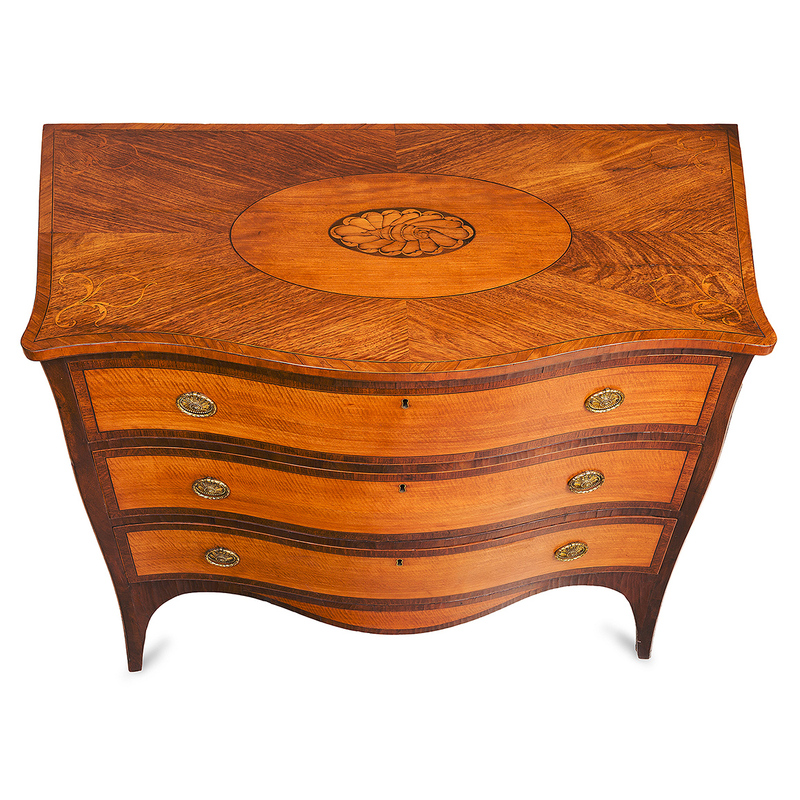 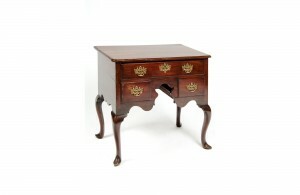 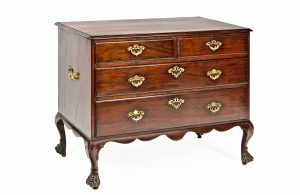 To enquiry about "3160 – 18th Century Inlaid Serpentine Hepplewhite Commode", please complete the below form. 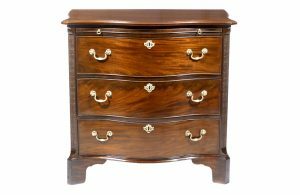 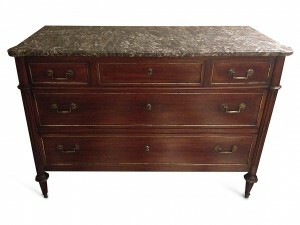 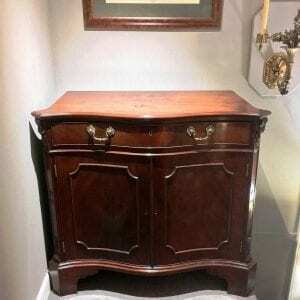 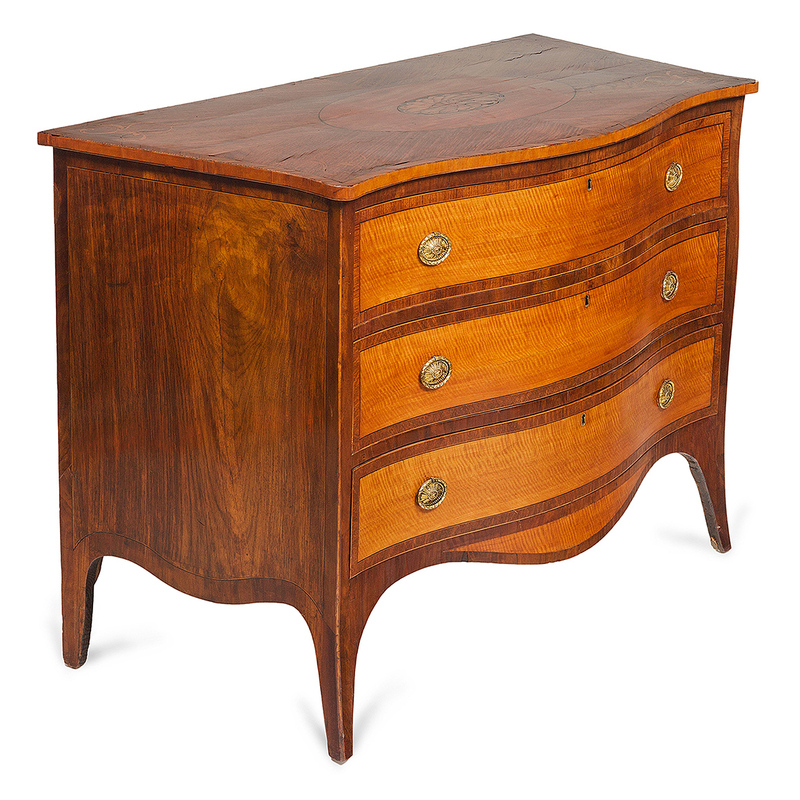 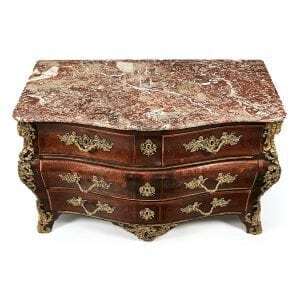 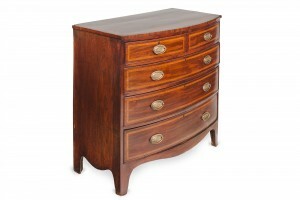 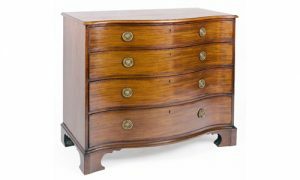 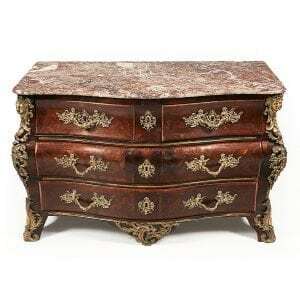 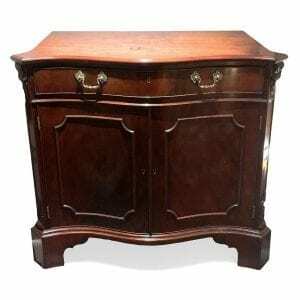 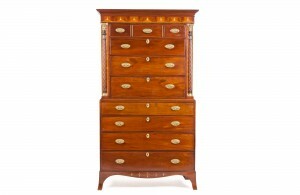 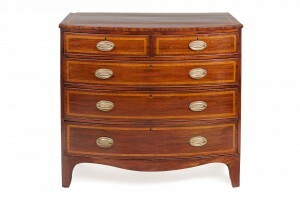 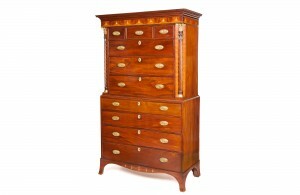 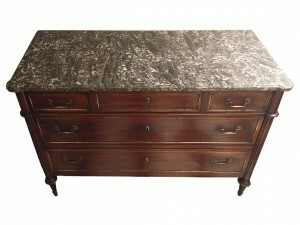 2511- Mahogany serpentine chest of drawers.